Flight major Michael Dyess is an Eastman Campus leader and member of the MGA President's Torch Society for top scholars. Full Name: Michael N. Dyess. High School: Moanalua High School, where he participated in cross country and outrigger canoe racing. Family: Wife, Katie Dyess, and daughter, Amelia Dyess. Employment: Student worker on the MGA Eastman Campus with the Office of Student Life. Degree Objective: Bachelor of Science in Aviation Science and Management with a major in Fixed Wing Flight. Activities: "I am the chair for the service committee of the President's Torch Society and the secretary for the Eastman Campus Activity Board." Career Goals: "My goal is to fly passenger jets for a major airline. Flying is a rewarding career that will allow me to provide for my family in a way I never thought I could." 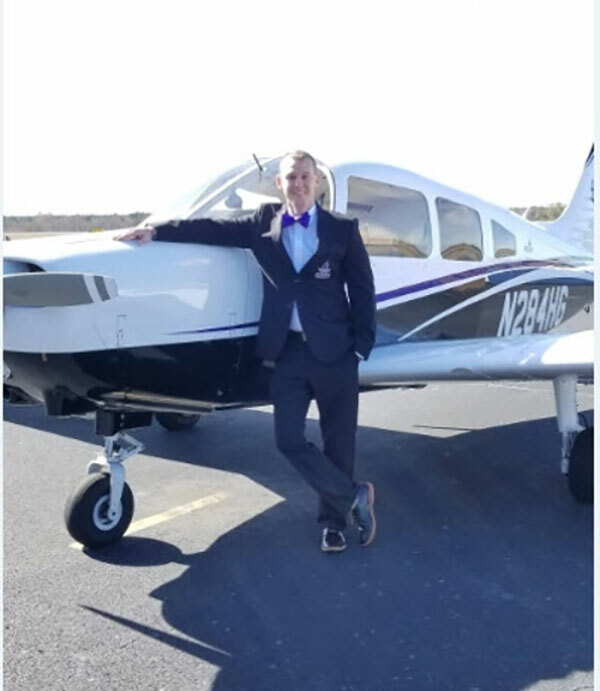 He chose Middle Georgia State University because … "The School of Aviation is professional from top to bottom. The aircraft are maintained to a standard that is above what I imagined. I thought it was neat that we have a privately owned control tower. The faculty and staff are friendly and helpful. The other students ,regardless of campus, help each other out and make you feel welcome." The greatest thing she discovered about Middle Georgia State was … "We are not alone in our pursuit of knowledge. College is the hardest thing I have ever done in my life. It is nice to know that the school has resources available to help me succeed." His greatest academic experience so far as a Middle Georgia State student has been … "In high school I slacked off and did not do very well. In college I am pushing myself to make my family proud and am working hard to maintain above a 3.0 GPA. I do not squander any opportunity that is extended to me and I am happy to be involved in a few great programs at the University. I also enjoy interacting with different students at various levels of their academic careers." To him, “greatness” means … "Accomplishing your goals. No matter what your ambitions are you can achieve your greatness by setting realistic and achievable goals and working toward them." In five years ... "I see myself working for the first two years at a charter flight company to build time I need for the regional airlines. Eventually I see myself working for Republic Airlines where I hope to be a captain in the Embraer E175. I'll be spending as much time with my family as possible and mentoring my daughter."